Merry Christmas Eve! 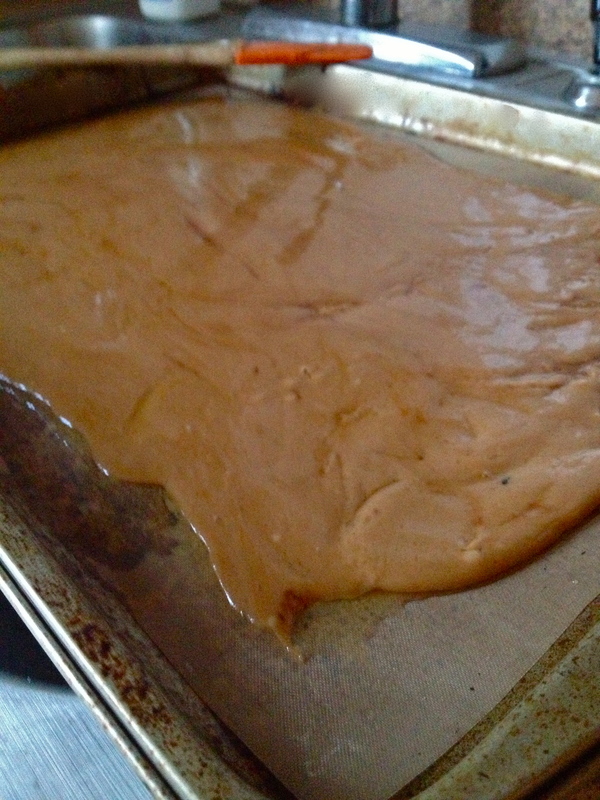 This is the fifth time I’ve made toffee in the past 2 weeks, and each time I make it I’m amazed at how simple it is. It takes just three steps: whisk the ingredients over heat, spread the hot sugar mixture over a pan, and top it with whatever you want. A breeze. But the reason I say “simple” and not “easy” is because there is a bit of technique and elbow grease required: stirring non-stop for 10 minutes might give you unhappy risotto flashbacks, and the cold water candy test (detailed below) probably means this shouldn’t be a beginner’s first recipe. That said, once you have your toffee-legs, which are the toffee version of when a sailor gets his sea-legs, you’ll find this recipe really is a breeze. 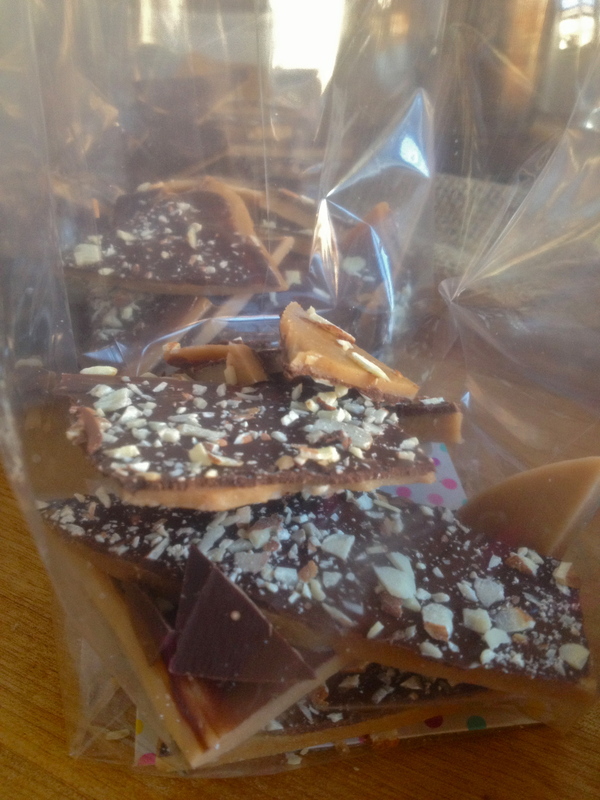 I use the same exact process here that I used in my Butter Rum Toffee recipe–the only difference is I’ve Irish-ed up the ingredients with coffee and whiskey. The amount of coffee crystals I used here keeps the coffee flavor on the mellow side, but if you want to punch it up, use a whole teaspoon. Just go to town on this thing. Line a sheet pan with a silicon mat or parchment paper. Set aside; youʼll need it ready, because the caramelizing process moves pretty quickly. Melt butter in a saucepan over medium heat. Then whisk in the sugar, coffee crystals, salt, and whiskey, and continue to stir with the whisk while the mixture comes to a bubble. Be very careful not to touch the mixture at any point in this process; itʼll give you an incredibly nasty burn. Cook over medium flame, stirring constantly, for 7-10 minutes, until the mixture is almond-colored and passes this consistency test: take a glass of cold water and drizzle in a few drops of the mixture. If it turns into brittle strings and crystallizes at the bottom of the glass (reach in and test the piece with your fingers), it’s ready to go. If it’s still soft and malleable, continue to cook and stir, and test again in a minute or two. Be careful not to let it burn. When itʼs ready, immediately pour onto the sheet thatʼs lining your sheet pan. Use a spatula to spread the mixture pretty thinly, and let cool for 2 minutes. Next, sprinkle over the chocolate chips. 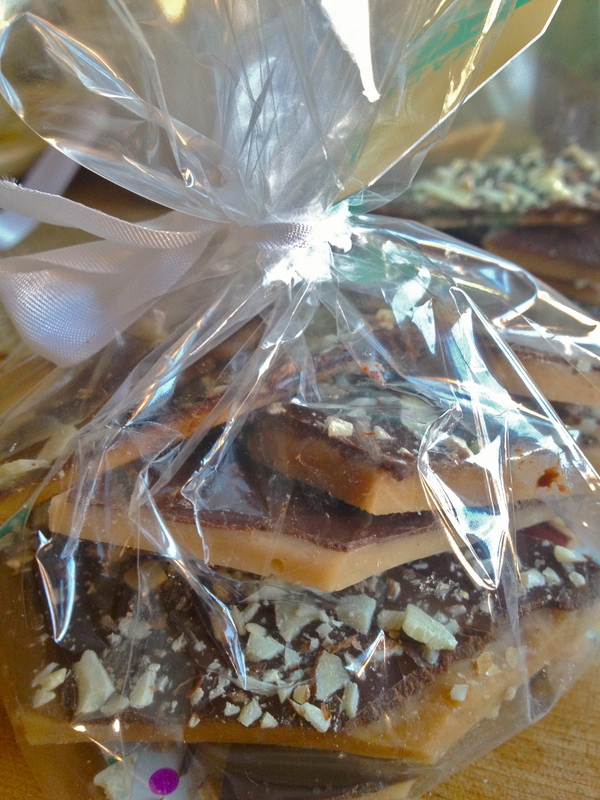 Give them a few minutes to melt, and then use a spatula to gently spread the melted chocolate over the top of the toffee, covering the whole surface. If you find that the chocolate chips arenʼt melting completely, pop the pan into a hot oven for 20 seconds, and the chocolate will be easily spreadable. 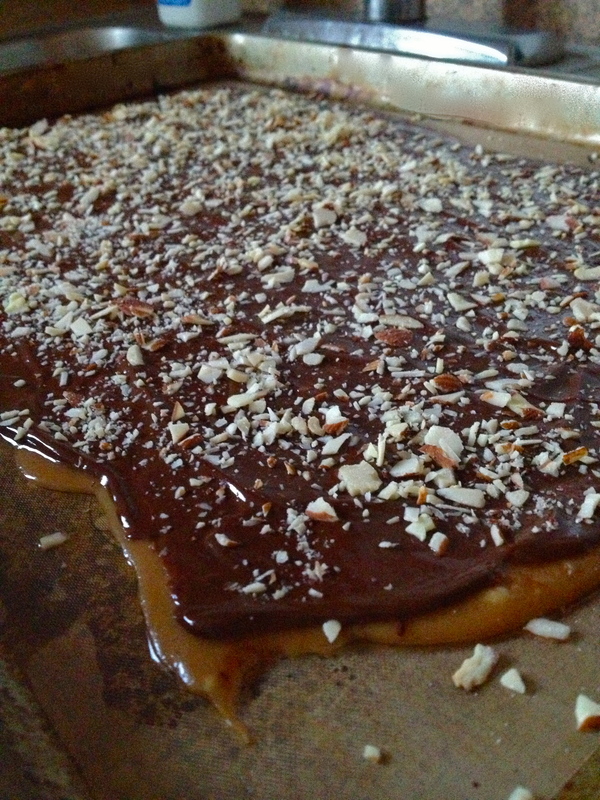 While the chocolate is still melty, sprinkle with almonds. Let the whole thing set completely, for at least two hours. When it’s completely set, break it up into chunky, uneven pieces. Store in a cool place where the chocolate won’t melt. Give as gifts or keep for yourself – and try not to eat it all in one day! Next Glazed Apple Bundt Cake. The name alone makes me smile! Agreed. It had to be done!